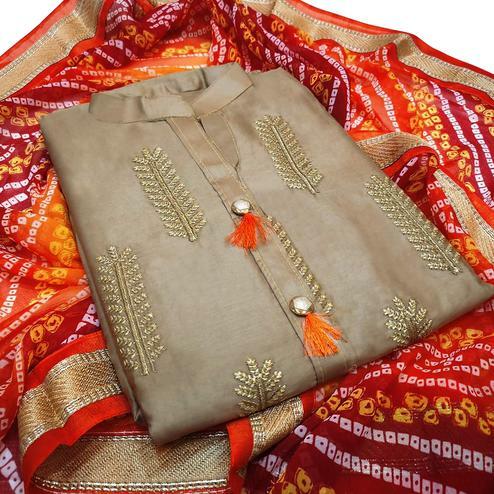 Looking amazing with attachment of orange - beige dress material. 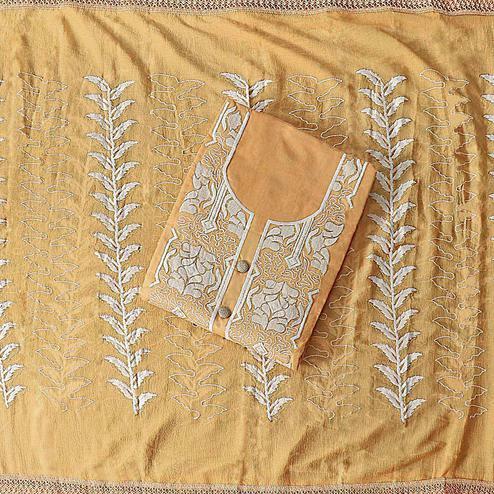 This chanderi cotton straight suit is stylized by designer embroidery and mirror work. 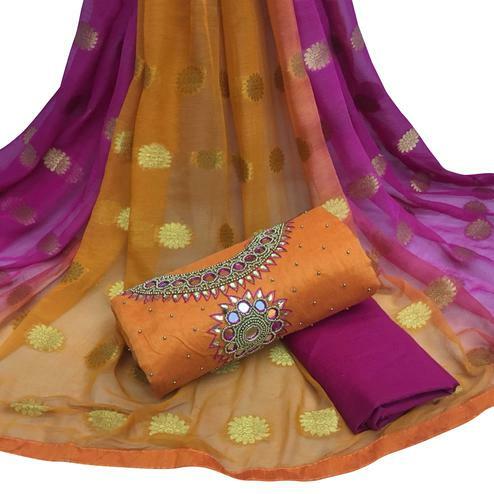 Comes with cotton bottom, along with embroidered chiffon dupatta all synchronized well with the latest trend and style. 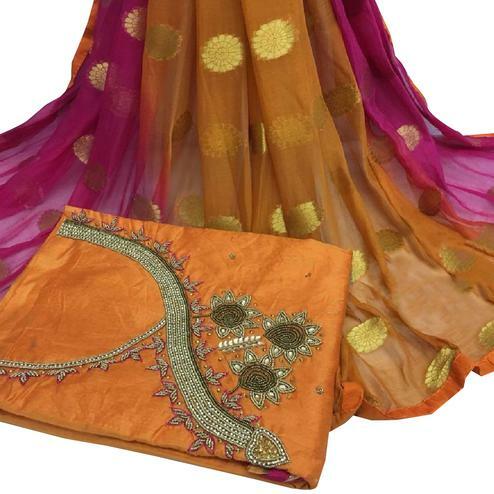 This un-stitched outfit is perfect to wear at parties, functions & occasions. Get this dress material stitched as per your desired fit and comfort & fetch compliments for your rich sense of style. Team this suit with ethnic accessories and high heel for a complete look.